Cal Poly kinesiology and public health Professor Suzanne Phelan has received the $20,000 Wang Family Excellence Award for outstanding commitment to student achievement and scientific contributions. 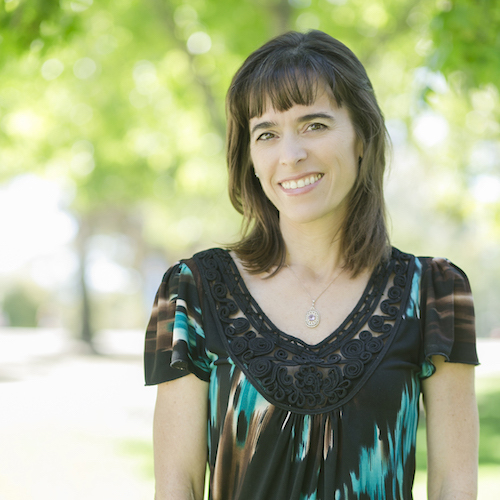 Phelan was one of five California State University faculty and staff members to receive the award. The annual award celebrates CSU faculty members who have distinguished themselves through outstanding teaching, scholarship, service and innovation in student success. It also honors a staff member whose contributions and impact significantly exceed expectations. In addition, each honoree receives $20,000 that is established through a gift from Wang, who served on the board overseeing the 23-campus CSU system from 1994-2002. Phelan directs Cal Poly’s STRIDE Center for Obesity Research. Her research on how to help mothers achieve healthy weight management before, during and after pregnancy is influential in the field of obesity prevention. She has received more than $12 million in grant funding from the National Institutes of Health, and her work has been published in several respected academic journals, including the Journal of the American Medical Association. Phelan and her collaborators recently found that an online weight loss program led to significant weight loss in low-income, at-risk mothers during the year following pregnancy. Study participants were women enrolled in the federal assistance program Special Supplemental Nutrition Program for Women, Infants and Children (or WIC). Phelan’s other research projects topics include gestational diabetes, a couples-based approach to weight management during pregnancy, and maternal and toddler feeding interactions. “Suzanne’s truly remarkable achievements are making a difference in her academic community, in the professional lives of her students and colleagues, and in the personal lives of young families in California and across the U.S.,” said Dean Wendt, dean of the College of Science and Mathematics. In addition, Phelan is spearheading a new program that will provide prenatal and postpartum care to underserved populations in San Luis Obispo and Santa Barbara counties. The Cal Poly Women and Infants’ Mobile Health Unit will contain a medical office that can travel to underserved populations, as well as facilities for Cal Poly students to get hands-on experience in clinical research.